KYIV. 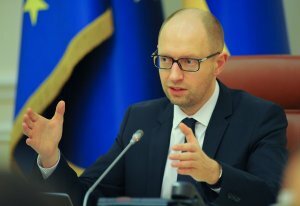 July 13 (Interfax-Ukraine) – Ukrainian Prime Minister Arseniy Yatseniuk has confirmed his participation in the first American-Ukrainian Business Forum, which will take place in Washington on July 13, and expressed the hope for some progress. “On July 13, I will be in Washington, D.C., together with a government delegation. This day, the first Ukraine-U.S. Investment Conference will take place there,” the Ukrainian premier wrote on his Facebook page on Saturday morning. He recalled that ahead of the conference, the Economic Development and Trade Ministry of Ukraine presented a video about investment opportunities in the country. “There is still a lot of work ahead, but I am sure that together we will succeed!” Yatseniuk wrote. Ukraine will present its agricultural sector, IT, infrastructure, pharmaceuticals, energy, aviation, and missile building industry at the forum. According to the forum’s agenda, Ukraine will be represented at the event by Ukrainian Prime Minister Arseniy Yatseniuk, Economic Development and Trade Minister Aivaras Abromavicius, Finance Minister Natalie Jaresko, Agrarian Policy and Food Minister Oleksiy Pavlenko, Infrastructure Minister Andriy Pyvovarsky, head of the State Fiscal Service Roman Nasirov, deputy head of the presidential administration Dmitry Shymkiv, head of the State Property Fund Ihor Bilous and Naftogaz Ukrainy CEO Andriy Kobolev. It is expected that the forum will be attended by 150 participants from the United States and Ukraine. KYIV. 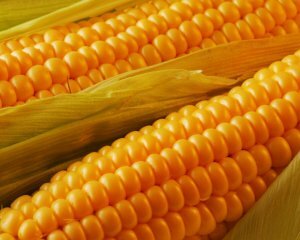 July 10 (Interfax-Ukraine) – In the 2014/2015 marketing year (MY, July-June) Ukraine exported more than 2.7 million tonnes of corn to China, which is 5.4 times more than in the previous marketing year. “According to UkrAgroConsult, maize exports to China in the 2013/2014 MY exceeded 500,000 tonnes, while in the 2014/2015 MY the figure is estimated at about 2.7 million tonnes,” the leading grain market expert at UkrAgroConsult consulting agency, Yelyzaveta Malyshko, told Interfax-Ukraine. According to her, in April and May 2015 Ukrainian companies supplied about one million tonnes of this crop to the country. “Ukrainian corn is well known all over the world. First of all, it is not genetically modified. Despite the fact that China accepts 15 varieties of genetically modified corn, it does not accept maize stamped MIR 162. American corn in this sense has problems with exports to China. In the year before the marketing year, 1.3 million tonnes of U.S. corn was not accepted at Chinese ports,” Acting Chairman of PJSC State Food and Grain Corporation of Ukraine Borys Prykhodko said. “Our task is to show a new government team and establish direct relations with the key investors,” Abromavicius said at a briefing. He did not predict the outcome of the forum, saying that establishing contacts with a potential investor often takes a long time. According to Trade Representative of Ukraine Natalia Mykolska, the 200 largest U.S. companies will attend the forum. Well-known investor and billionaire, president of NCH George Soros and investment banker David Rubenstein will speak at the forum. The delegation will present Ukraine’s agricultural sector, IT, infrastructure, pharmaceuticals, energy, aviation, and missile building industry at the forum. KYIV. 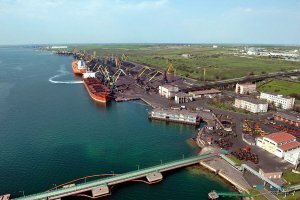 July 10 (Interfax-Ukraine) – Yuzhny seaport (Odesa region) has assessed the total plan of capital investment for 2015-2019 under the investment program for medium-term outlook as being worth $500 million, the port’s press service has reported. 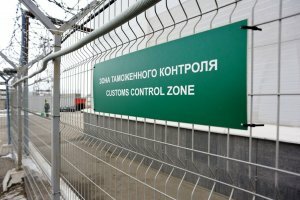 The press service said that Head of Yuzhny Port Oleksandr Lahosha gave this information to a delegation of representatives of the commercial office of the U.S. Embassy to Ukraine headed by Senior Commercial Officer James Lindley and the American Chamber of Commerce in Ukraine headed by President Andy Hunder during their visit to the port. Lahosha said that in the past year the efforts of Yuzhny seaport have been aimed at supporting existing facilities and increasing the operating effectiveness for loading and unloading or ships with a carrying capacity of 175,000-200,000 tonnes. He said that the top priorities in the development of the port are the modernization of berths for loading and unloading, an increase in the number of handling facilities, and boosting cargo handling volume and development of port infrastructure. However, the implementation of this investment program is impossible without raising the funds of private investors. In turn, Hunder said that he is ready to promote the establishment of mutually beneficial contacts with U.S. private businesses and raising foreign capital. Yuzhny port was founded in 1978. It is located on the Adzhalyk firth and is the deepest harbor in Ukraine. The length of its berths is around 2.6 kilometers. The port has six handling terminals. Sea terminals in various forms of ownership operate at the port: Pivdenny oil terminal, Transbunker-Yug LLC’s fuel handling terminal, a terminal of Transinvestservice LLC, a grain handling terminal of Borivage LLC, and a tropic oil handling and processing complex of Delta Wilmar CIS LLC. KHARKIV. July 10 (Interfax-Ukraine) – The first trial model of a combine jointly produced by Kharkiv tractor plant and Finland’s Sampo Rosenlew will be ready in September, Kharkiv Tractor Plant Director General Vladyslav Hubin has said. “We tentatively plan to do this in September… In general it is planned to assemble five trial models this year,” he said at a press conference on Thursday. Hubin said both companies plan to start mass production of combines under the project in 2016: 200 units will be made. 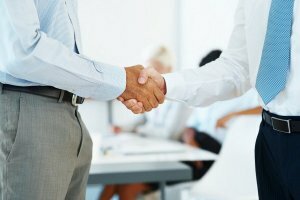 As reported, a contract to create a joint venture by Kharkiv tractor plant and Sampo Rosenlew was signed in December 2014. 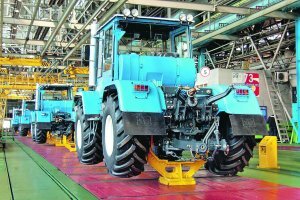 In 2014, Kharkiv tractor plant produced and sold 1,455 tractors, which is 10.4% or 137 units more than a year ago, and this year the plant plans to sell more than 2,000 tractors (37.5% up). In 2016, Kharkiv tractor plant plans to manufacture about 200 harvesters, and by 2018 to increase production to 500 units per year. The plant, which is part of a joint project with Sampo Rosenlew for harvester production, intends to bring the level of localization to at least 35% within the first year of mass production. KYIV. July 9 (Interfax-Ukraine) – Ukrainian President Petro Poroshenko has announced the development of a new customs terminal in Odesa region. “As of today, the development of a new [customs] terminal with the unprecedented speed of customs clearance and without direct contact between entrepreneurs and clerks is in the pipeline. A new, transparent office of effective public services, which are provided by the state, will be introduced, and it will be high-quality and non-corrupt services,” he said at a meeting with regional governors and law enforcement agencies in Odesa on Wednesday.